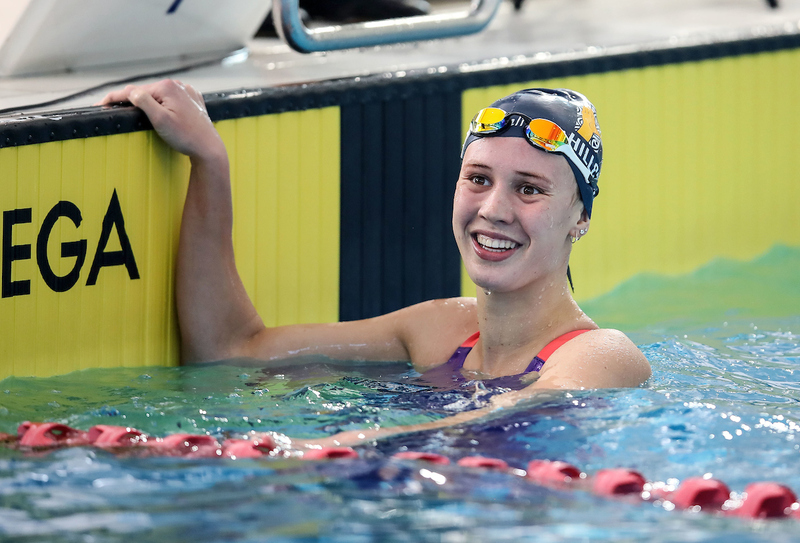 ASHBY SMASHES NEW ZEALAND OPEN SHORT COURSE RECORD. 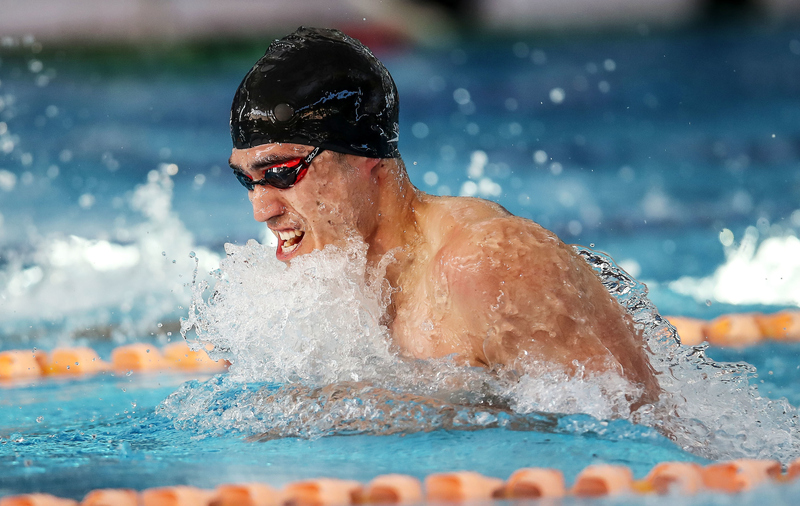 Bradlee Ashby showed he is back to top form in breaking his own men’s 200m individual medley New Zealand record on night two of finals at the 2018 NZ short course championships. Ashby (North Shore) dominated the A-final from the start to lead by half a body length after the first 50m from Wilrich Coetzee (North Shore) and Tyron Henry (Howick Pakuranga). 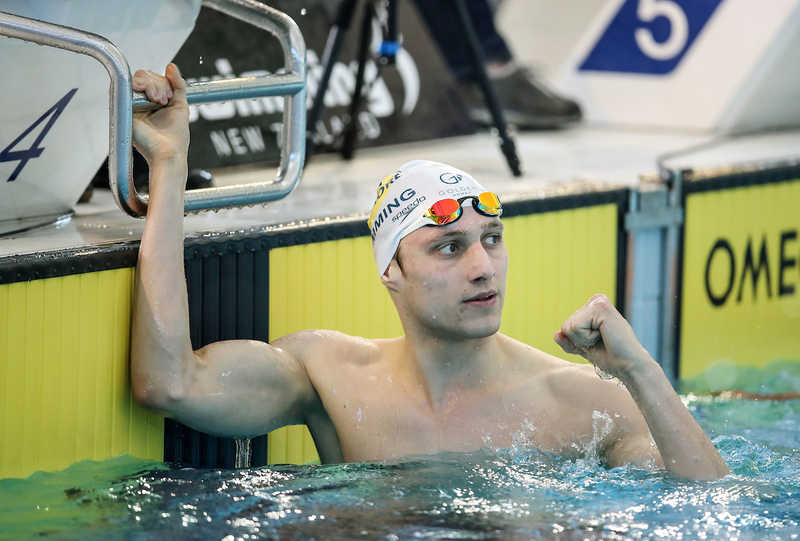 By the time Ashby turned for the freestyle leg, it was matter of how much he would win by, touching the wall in 1:54.51s, well over three seconds ahead of Coetzee who won silver in 1:57.94s. Having not competed competitively since May, Ashby credited a change in mindset for the improved performances. “Getting back into the rhythm of things and having a schedule that really works for me has helped and It all came together tonight, I can’t be more happier,” says Ashby. Callum Prime (1:59.32s) completed the North Shore Swimming Club 1-2-3 sweep with Henry fading to fourth. Ashby returned to the pool half an hour later to win the men’s 100m backstroke in a new personal best time of 52.06s. Corneille Coetzee (North Shore) was second, 53.48s and Andrew Jeffcoat (Fairfield) third, 53.68s. Gina McCarthy (Hillcrest) was also in record breaking form, smashing the women’s 16 years national age-group 200m individual medley record held by Helen Norfolk from 1998. McCarthy’s time of 2:13.40s slashed 1.85s off her personal best. Yeonsu Lee (North Shore) was second in 2:15.46 with Ruby Matthews (Evolution) third, 2:16.31s. “I was really concentrating on my turns and under water work tonight because they weren’t very good this morning, so it went well,” says McCarthy. In a feel-good story of the championships, Malcolm Richardson (TBSS) retired from swimming in 2012 after missing the London Olympics team. He decided to focus on a medical career. Six years later, the 27-year-old doctor returned to training only three months ago. Richardson was the fastest qualifier from the morning heats and after turning in third place he motored home to with the NZ championships in a personal best time of 27.99s. Shaquile Vaotu’ua (Howick Pakuranga) and Josh Pickett finished in a dead heat (28.42s) to share the silver medal. In the women’s 50m breaststroke, Ciara Smith (Northwave) turned the tide in the evening finals on Kaylee Jackson (QEII) who beat Smith earlier in the day to win the girls 17-18 years age-group title. In the open final, Smith overhauled Jackson at the line to win by 0.03s in 31.83s, to Jackson’s 31.86s. Mikayla Dance (United) was third in 32.18s. In the women’s 100m backstroke, Paige Flynn (St Peter’s) was superior in her turns and under water work off the wall, pulling away to win the final in a personal best time of 58.90s. “It feels incredible, it was the first time I went under 60 this morning, I’m pretty chuffed with that time,” says Flynn. Emma Godwin (Heretaunga) also went under the 1-minute mark to win silver in 59.19s with Kyla Alexander winning bronze in 1:00.04s. In the final event of the programme, Carina Doyle (North Shore) battled Emma Robinson (Capital) and Hayley McIntosh (Northwave) in the women’s 400m freestyle A-final. Doyle didn’t have it all her own way though with Robinson leading the first half of the race. But as she’s shown time and time again, Doyle is a great closer of races, often loving hunting down swimmers down the stretch. Doyle won gold in 4:06.81s, shaving five seconds off her personal best, Robinson taking home the silver (4:07.01s) and McIntosh the bronze (4:07.75s). In the Para swimming events. Tupou Neiufi (Howick Pakuranga) collected three gold medals in dominating the women’s 200m individual medley, 100m backstroke and 50m breaststoke events. Neiufi commented on the training her and coach Sheldon Kemp have been working on to get her prepared for the meet. Celyn Edwards (Selwyn) beat 2018 Commonwealth Games team mate Chris Arbuthnott in the final of the men’s 100m backstroke Para multi-class final. Arbuthnott touched the wall first but placings are determined by the percentage against their Para classification world record. Jesse Reynolds (100m backstroke) and Ella Benn (400m freestyle) also collected national titles. The 2018 New Zealand Short Course Championships are being held at the Sir Owen G. Glenn National Aquatic Centre, Auckland, from 2 - 6 October.